Hey everybody. Let me just say that I love Rose gold accessories. I have Rose gold shoes, clutch, gauges (because I don't have regular pierced ears), rings and watch. I am on the Rosegold bandwagon. Not because it's a trend but because I genuinely like that it is different from silver or gold. 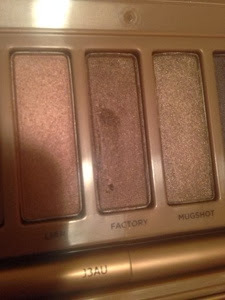 I have been putting off getting the urban decay naked 3 pallete for a really long time. I already own the naked 1 which I love. 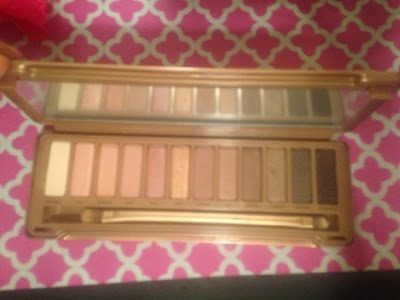 I tried 2 and the naked basics, which I bought from Ulta, and ended up returning. 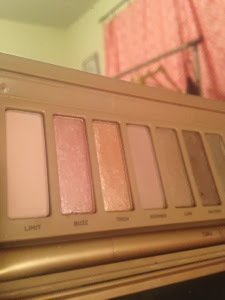 The naked 2 was too cool tone for me and made all the colors just look like one giant frost color. That doesn't mean it's not good it's just not for me. I am an NC 35 to 42 skintone by the way in MAC or if that is not thorough enough for you I am tan even though I wear SPF 50 daily. I am Native American decent & just not good with cool tones. Maybe I could've made it work but I feel like it would've been a waste. The naked basics was so basic and nothing was so fantastic about it that I couldn't justify that price either and returned it. My Sonya Kashuk neutrals pallet that I bought at target for $12 has more colors and is all matte and neutrals and does just as good of a job. Anyway onto the naked 3 pallete review. I feel like there was enough matte and frost or shimmer shadows in it that I could do a bunch of different looks and have half of them be wearable to work and neutral while the other half would be fun for the weekends or a night out. It wasn't as big of a fail as naked 2 pallete, but this is definitely no naked 1. I use every single color and in naked 1. every single color! I plan to wear it every day for about two weeks and then will decide if this is staying or going. There are some really pretty colors in it. The formulation of the shadows though is not as good as urban decay can be. Some of them are a little bit crumbly or hard to even show up. It's almost like three of the colors are very patchy or not is pigmented as this branding usually makes their eyeshadow. It was a little disappointing but the colors that do you have a good payoff made up for it. Dust is probably made of dust. Wow the fall out patchiness! You have to use a primer and wet brush and you're going to have to layer it on like crazy. Burnout is a light warm pinky color it's really nice on and could probably double as a cheek highlight. 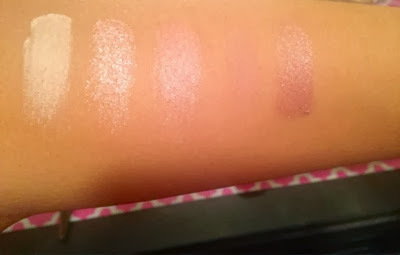 Limit is really smooth, easily blend all but is basically the same color as me so it doesn't show up on me. Look at this watch you can't even see it that's the space it's actually a color. Buzz is probably the main reason why this pallet is described as the Rosegold palette. This is a very buttery, good pay off, and really metallic. It is beautiful! Trick is pretty much a copper eyeshadow with a hint of pink in it. This would not blend or even come out of the pallet. Not kidding. Had to rub my finger in it and then on my arm to even show it. Pretty color but not a really good formulation. Liar is warm pewter or gray that has a lot of brown in it and is very metallic. It is very wonderful and the payoff is amazing. It looks almost like a cream shadow. Factory is A dark brown that has a very reddish undertone and reminds me a lot of Darkhorse in the original naked palette. A really dark warm bronze. It's really pretty but it's so similar to something they already made. Mugshot is also very metallic. But it's a taupe. So it's a little on the cool side but I don't mind it so much. It is really creamy and has a good color payoff if you look good in taupe. Darkside is a pearlized mauve purpleish kind of color. It's really pretty not too metallic or shimmery but not flat. It would be great alone or as a crease for a dramatic look. Blackheart is a matte black shadow with red flecks of glitter in it. It looks like it would be really cool but you can barely see the red flecks once it's on. I'm not counting it as a bad mark because who can't use a black eyeshadow but it really would've been fun if it looks on your skin how it does in the pallete. Here you can see how factory is crumbling up from just touching it and above that you can see that buzz and trick are nothing like each other. Plus trick will not come out anywhere near what it looks like in the pan. This is way better than the second eyeshadow palette urban decay made however it's nowhere near as great as the first. I feel like a lot of primer is going to need to be used as well as wet eyeshadow brushes and make up setting spray. I'm willing to do that but I'm so spoiled with the first pallet that I was kind of expecting better quality and more creativity of colors. It's not a loss but I'm going to have to work a little more than I thought to make it a win.